Our Personal Planning process analyzes four key components of your personal finances: protection, cash flow, assets and liabilities. Our process is designed to ensure that these components are moving in a coordinated, integrated manner. The Living Balance Sheet is more than an organizational and analysis tool. It is a set of fundamental beliefs and financial habits designed to move you towards and maintain an optimal level of financial balance. Our Business Planning process is designed to maximize the value of the business over time and transfer that value to your personal balance sheet. The process focuses on four core areas: protection, cash flow, employee retention and exit strategies. Of all the bridges in the Tampa Bay area, the Sunshine Skyway Bridge stands above the rest. Spanning 4.14 miles, this modern engineering feat is the longest cable stayed concrete bridge in the world. Protecting the bridge’s foundational piers are six concrete “dolphins” designed to withstand the impact of an 87,000 ton ship, allowing for an estimated 52,000 vehicles to pass safely over the bridge each day. When designing structures like the Skyway Bridge, engineers must not only consider how the bridge will perform under perfect conditions, they must also take into account how the structure would be stressed by heavy traffic, tumultuous weather, and even an off-course cargo ship colliding with its foundation. Therefore the bridge wasn’t designed to a minimum standard; engineers built the bridge to withstand a worst-case scenario because failure to do so could result in catastrophe. 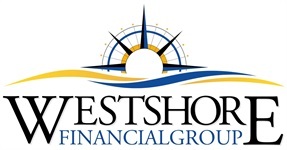 At Westshore Financial Group, we proudly hold the same philosophy when it comes to your personal finances. It is not enough to simply help you reallocate your portfolio or sell you another product and be on our way. Our job is to first develop a relationship and understand what is important to you. Then, and only then, can we help you clarify your financial world and engineer a balance sheet strong enough to potentially withstand a worst-case scenario. We must first protect against catastrophe and then focus your resources to achieve the best version of your life. We can’t wait to help you get started.